Berks County has a population of more than 400,000. Reading is the county seat and only city in the county. Around one-fifth of the population live there. The Â name comes from Berkshire (England), where William Penn died in 1718. 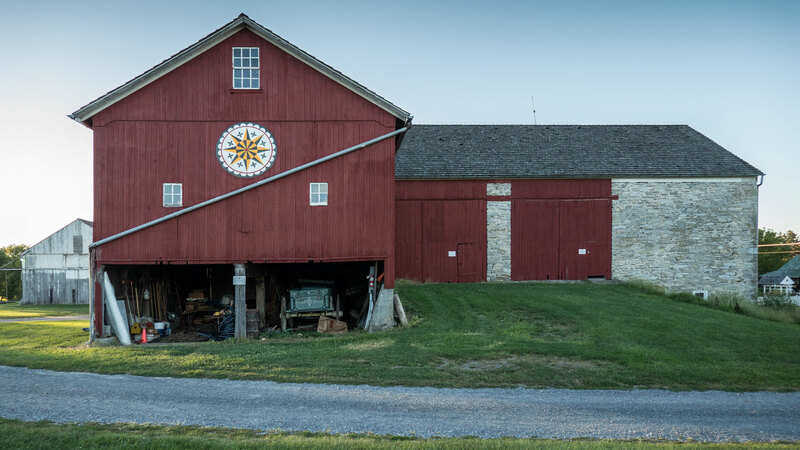 Berks County is considered part of Pennsylvania Dutch (which really means German) country. It was German immigrant Conrad Weiser who was instrumental in creating the county out of parts of Chester, Lancaster and Philadelphia counties in 1752. A visit to the Berks County Heritage Center is aÂ journeyÂ back through the history of Berks County. It includes Gruber Wagon Works, which is a National Historic Landmark datingÂ back to the late 1800s. Thereâ€™s also the C. Howard Hiester Canal Center, which documents the golden age of canal transportation, specifically, the contributions that the Union Canal and Schuylkill Navigation System made to Berks County. Many of the artifacts on display there were recovered from 1927 when the Schuylkill Navigation Company closed their Reading headquarters. In the end, C. Howard Heister acquired the largest private collection of 19th century canal memorabilia in the United States, totaling over 1,400 items. For art lovers, The Distlefink is a representation of German Folk Art. Berks County has a heavy German influence. For those who prefer nature over history, The Union Canal Bicycle and Walking Trail is more than four miles long and winds along the Tulpehocken Creek. Wertz Bridge (a.k.a. Red Covered Bridge) is the longest single-span covered Bridge in Pennsylvania, spanning over 200 feet across the Tulpehocken Creek. 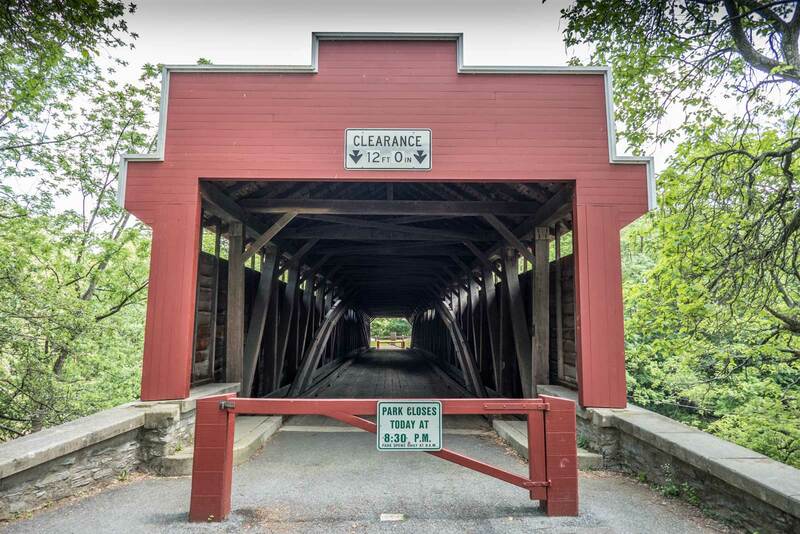 Out of the five covered bridges remaining in Berks County (there used to be 37), the Wertz Bridge is the only one closed to motor vehicles. Youâ€™ll have to walk through it to get to the Berks County Heritage Center. The myotis lucifungus bat species lives inside the bridge in maternity colonies (only mothers and babies). At about 2â€ long with a 10â€ wingspan, these little brown bats can eat as many as 500 insects per hour. Each night they can eat half their body weight in insects. While they are prevalent during the summer, they hibernate in caves from October to April. Boyertown is located between Allentown and Reading. From 1872-1990, Boyertown Auto Body Works operated in the building which is now the Boyertown Museum of Historic Vehicles. Inside you can see a Thomas Edison Industries truck as well as Mister Softee. Thereâ€™s also a 1921 Sunoco gas station andÂ the classic Reading Diner from 1938. You can go inside the diner and watch the episode of The History Channelâ€™s Mega Movers to see how the diner was relocated. In addition to the main floor thereâ€™s a reconstructed blacksmith forge and belt driven machine shop. Inside is a wooden mail wagon from the days when mail took more than a day to get from one county to the next. Berks County had important stops on the Underground Railroad. The Central PA African American Museum is a former church just east of the center of Reading. There are exhibits on the second floor, which focus on the achievements of African Americans from Berks County as well as the history of the slave trade. 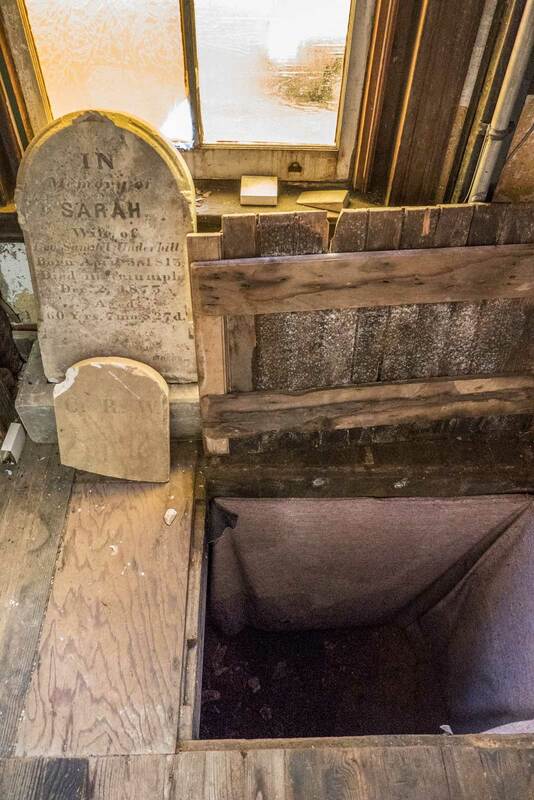 However, the most chilling part of the museum is the hole in which the escaped slaves hid. Street parking is easy to find. Born in Astaat, Germany in 1696, Conrad Weiser migrated to America with his family in 1710. At age 15, he chose to live among the Mohawk Tribe of the Iroquois. He later served as an interpreter and diplomat in negotiations between the Pennsylvania colony and the Native Americans. His first official role came in 1741, when he was appointed Lancaster County Magistrate. He was an early advocate for the establishment of Berks County and when it was finally established in 1752, he was appointed the first justice of the peace. In 1756, he was appointed Lt. Colonel of the First Pennsylvania Regiment and spent most of the next few years in and around Berks County. His last major act of diplomacy was the negotiation of the Treaty of Easton in 1758. He died at the Weiser Homestead near Womelsdorf on July 13, 1760. The park on which the homestead sits was founded in 1923 and is spread out over 26 acres. There are period buildings an orientation exhibit as well as a Conrad Weiser monument, engraved with a quote by George Washington. If words like aragonite, anthodite and calcite mean nothing to you, Crystal Cave is a good place to learn about rocks and minerals. 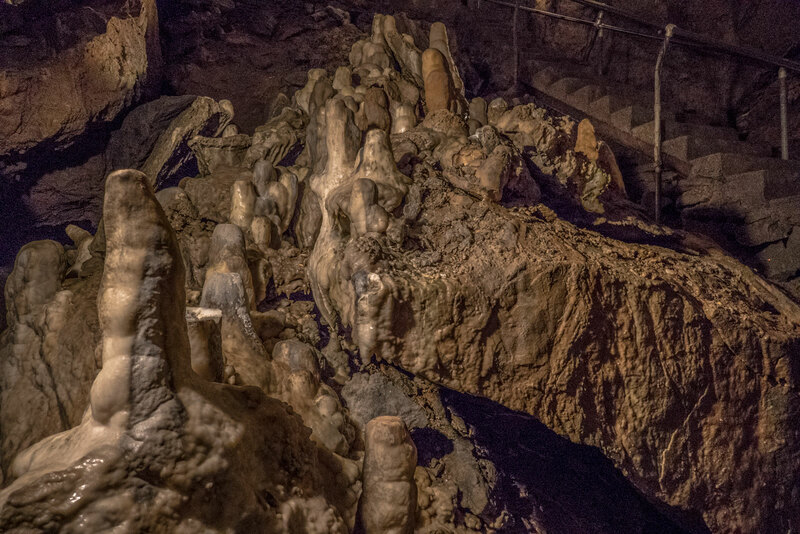 Just take some advice from KRS-One: â€œYou Must Learn!â€ Tourists have been visiting Crystal Cave for more than 140 years. The crystal ballroom (that’s a U2 song)Â is 125 feet underground and the temperature stays at around 54 degrees all year. Live bands played the ballroom up until prohibition. The first wedding was held there in 1919. In fact, four men were paid $0.25 each to carry a grand piano down into the cave. The famous frontiersman spent the first 16 years of his life in the Oley Valley of what is now Berks County. The Daniel Boone Homestead interprets the lives of the Boone, DeTurk and Maugridge families. Boone was raised as a Quaker and lived to be 85. The site is comprised of seven period buildings including a blacksmith shop, sawmill and smokehouse. The visitor center has a video on the life of Daniel Boone and the site itself is spread out over 579 acres. The former safety goggles factory on the corner of Washington and North 2nd Street was added to the National Register of Historic Places in 2006. Art galleries, a dance studio, glass blowing facility, ceramic studio and 131-seat film theater are some of the occupants of the 145,000 square feet that is GoggleWorks Center for the Arts. Although itâ€™s located downtown, thereâ€™s ample off-street parking in the back. With constantly changing exhibits and different events every week, there are plenty of reasons to visit on a regular basis. For an in-depth history of the building (and the city of Reading), check out the small but informative Willson History Project, which chronicles the 130 year history of Willson Goggles. Reading Regional Airport does not offer commercial flights, but they do have The Mid Atlantic Air Museum. 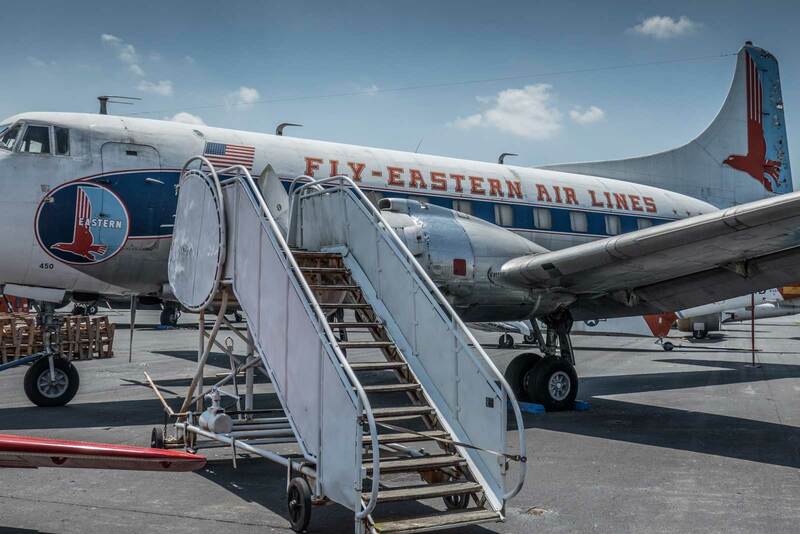 Anyone old enough to remember Capital Airlines (1948-1961) or Eastern Airlines (folded in 1991, but recently started offering charter flights from Miami) will enjoy this trip down memory lane. In addition to former commercial aircraft, they also have agingÂ U.S. Navy and Coast Guard planes on display. Penn Avenue is Readingâ€™s version of New York City areas like Bedford Ave in Williamsburg, Brooklyn and Vernon Blvd in Long Island City, Queens. Itâ€™s a great walking street both during the day and in the evening. Unlike New York, itâ€™s relatively easy to find parking. Dining options include (but are certainly not limited to)Â A Taste of Crepe, Vietnamese food at Vanâ€™s CafÃ©, Bistro 614 for upscale French, Go Fish for sushi and Aladdin for Mediterranean. Thereâ€™s plenty of charmingÂ bakeries as well. 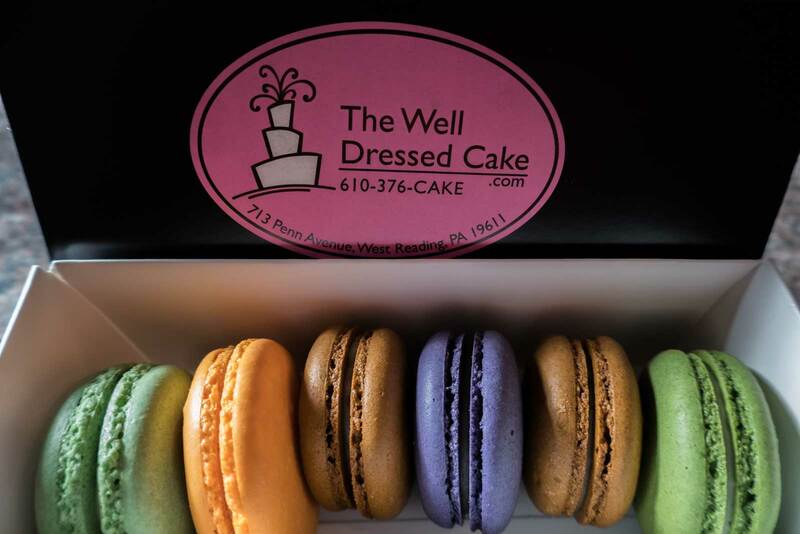 Ady Cakes has been featured on The Food Network (Cupcake Wars) and The Well Dressed Cake has French macarons in over a dozen different flavors. For more cupcakes and an eclectic mix of Swiss chocolates, head to Dolce de Zabala. The Pennsylvania German Cultural Heritage Center is part of Kutztown Universityâ€™s Pennsylvania German Minor program. They also publish the only international Pennsylvania Dutch language newspaper (Hiwwe wie Driwwe). Inside the library, they have 18th and 19th century immigration records. If youâ€™re looking to find your German ancestors, the library volunteers are happy to help. 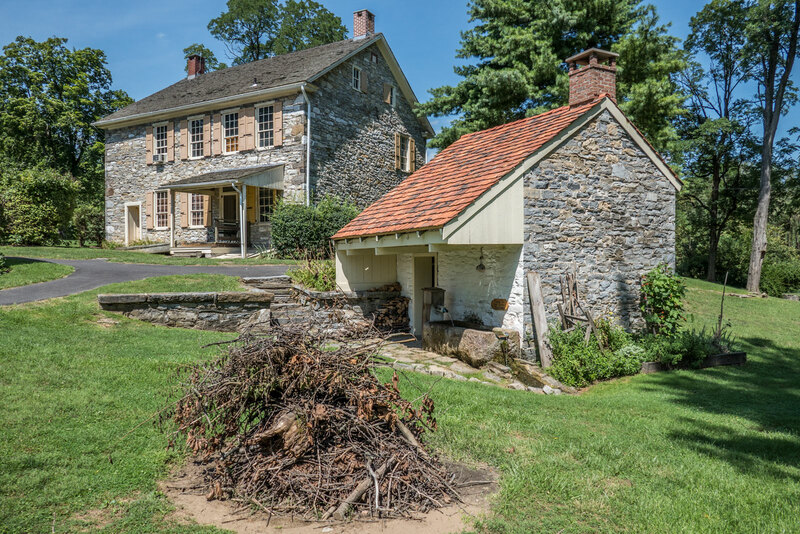 The grounds include the kitchen garden designed to teach the history of the Pennsylvania German Kitchen Garden. There is also a one-room school house as well as two restored log homes. Tours are on weekdays only and must be booked in advance. Locals and tourists alike have been looking down at the city ofÂ Reading for more than 100 years thanks to the Reading Pagoda. The winding road leading up to the pagoda is an adventure in itself. When you get to the top, youâ€™ll be looking more than 600 feet down. If you want to get even higher, take the 87 steps to the top of the pagoda. Hanging from the ceiling of the seventh floor is theÂ bell, which was cast in Japan in 1739. It was purchased and shipped via the Suez Canal to New York Harbor in 1906 before being transported to Reading by rail (ever played Monopoly? Take a ride on the Reading Railroad?). Fun fact: Â the Reading Pagoda isÂ the only one in the world with a fireplace and chimney. Located inside Museum Park in West Reading, the Reading Public Museum is just south of the Wyomissing Creek. The surrounding area can make you forget that youâ€™re in the fifth largest city in Pennsylvania. In fact, if you continue west (just follow the joggers and cyclers) you will end up in Wyomissing (where Taylor Swift is from). The museum was opened in 1928 and focuses on art and artifacts from around the world as well as Native American and Pennsylvania German culture. The Reading Railroad Heritage Museum is located in the borough of Hamburg (northern Berks County). 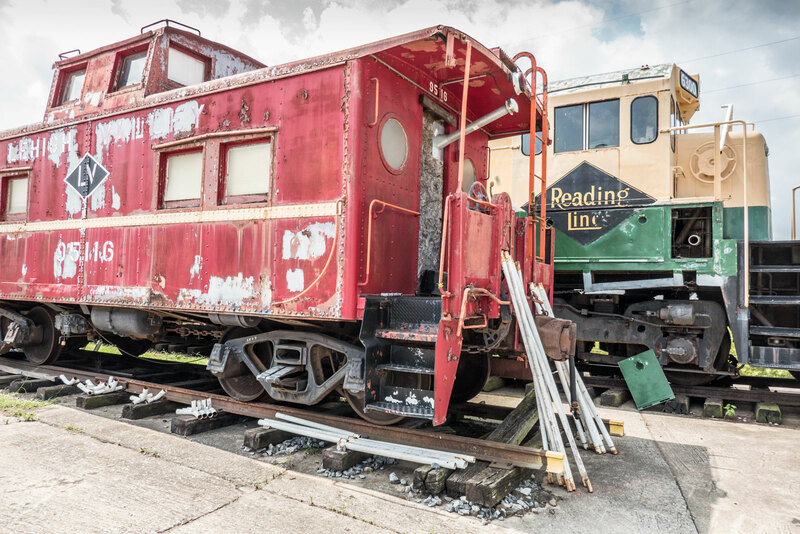 Itâ€™s an ideal place to stop before going into Reading.Â For $7, you can get on one of the hourly â€œYard Tours,â€ where an expert on the Reading Railroad will take you inside aÂ rail car and explain the rise and fall of the Reading Railroad. If youâ€™ve never been to Berks County, but have played Monopoly, you should be familiar with the now-defunct Reading Railroad. Thereâ€™s also a small museum, with a short video and a few smaller exhibit rooms. Roadside America is located off I-78 in tiny Shartlesville, PA. How tiny is Shartlesville? Well, it has less than 500 residents! Inside the museum is a panorama of life in rural America. What is so special about this place is that everyone from children to senior citizens can appreciate the detail that went into the construction of this cultural gem. 10,000 miniature hand-made trees, 17,000 board feet of lumber, 21,000 feet of electric wire, 44,000 pounds of stone and more are packed into this display, which is smaller than a high school basketball court. 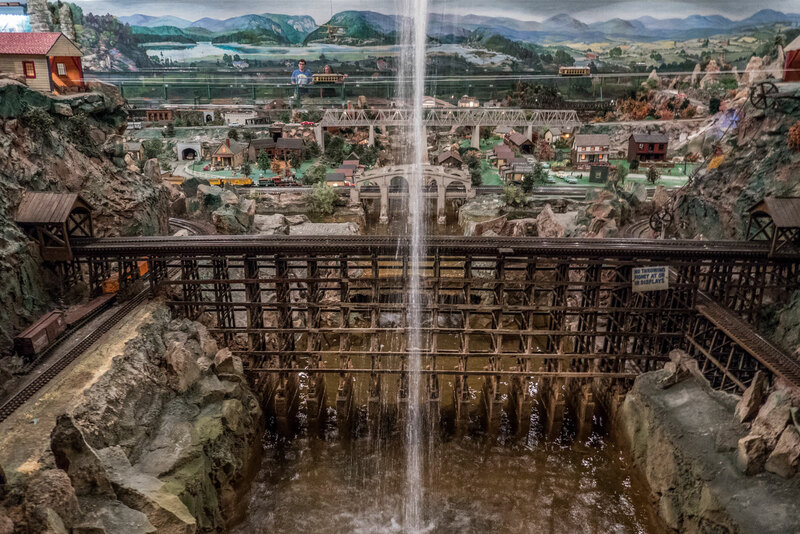 More than 200 years of history are packed into this exhibit, which is said to be the largest known miniature village in the world. There is something similar in the Queens Museum, but you canâ€™t get as close and it makes you feel small. Looking at this display can give you an idea of what it might have been like for somebody shopping for a 1957 Chevy at Degler Chevrolet in Hamburg. Unlike many other museums, there are no photography restrictions inside. Compare hotel prices, read reviews and book your Reading hotel at TripAdvisor! So many interesting things to do, but the Roadside America is just incredible. Wow, the amount of work is mind blowing. So many different places to see and visit. Seems like a perfect place for everyine. I’ve been fascinated by covered bridges, not so common here. I love visiting places with so much history, it’s interesting and fun to see and learn about historical buildings, transportation, and people, I’ll have to visit there some day? Looks like a ton of great places to visit! I love going places where there is a lot to do and lots of history! Im kind of a history buff and this looks like the perfect place. Plenty of things to explore in Berks County. The crystal cave would be interesting to see. A bunch of good places to visit but the caves look intriguing. Looks like there is lot to explore in Berks Country. The Reading Pagoda looks very interesting!! There seem to be a ton of attractions in Berks County. The history behind the Crystal Cave is interesting and I think it would be definitely worth a visit. Visiting the Museum of Historic Vehicles also sounds like fun, as does visiting the world’s only pagoda with a chimney! Wow so much to see! I LOVE the idea of visiting the Reading Pagoda! What a great place to be. I never knew about all these different attractions in Berks County. I have a lot to explore on my next US trip! Looks like so many amazing things to do in Berks Country! I am fascinated by Crystal Cave and would definitely love to explore about rocks and minerals. I can’t believe that the first wedding was held there in 1919! Love the old world feel here, like time left it behind. The railroad museum is definitely interesting! Wow! 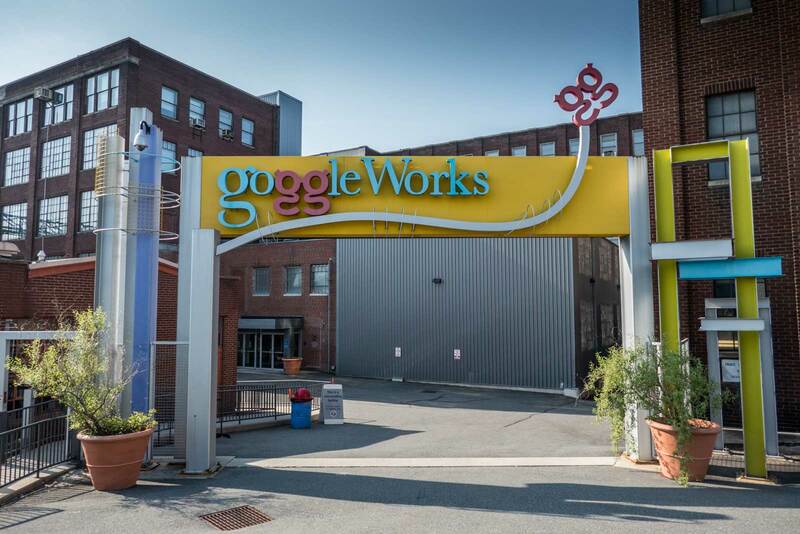 GoggleWorks Center for the Arts – that place sounds very interesting! Just can’t wait to visit U.S. again!!!!! “If you’re the smartest person in the room, you’re in the wrong room.” – Greetings from Germany! It’s always fascinated me to know about another part of Us apart from the famous cities. So many plenty places, with various attractions to see in Berks County.The crystal cave and the air museum would be my first choice to visit. Btw, the Wertz Bridge reminds me of the movie “The Bridges of Madison County” starred by Clint Eastwood and Merryl Streep. now i know i have not spent enough time exploring PA! Googleworks sounds like an interesting place! The insights of Crystal Cave are interesting. I wonder if the sound of the band and the piano echos through the caves to create a beautiful sound effect. I would love to visit Shartlesville someday. A town with less than 500 people? Must be an unique community to live in. So many kinds of museum there. I have been to some vehicles’ museum but never to a rail museum. Sounds interesting from what I read! “Fun fact: the Reading Pagoda is the only one in the world with a fireplace and chimney.” I guess because it’s utterly terrible with the chimney. I’d like a tour on the Air museum though, and after that a nice stop to eat macarons over macarons! The crystal cave definitely caught my eye. I have never seen such phallic like formations before 🙂 I didn’t know Pensylvannia was the fifth largest city. Nice to know how various outside countries like the Dutch, German and Japan has influenced it. Such a beautiful post. Really loved the museum of the old vehicles. One question I’d like to ask? Doesn’t this plethora of large yet stunningly beautiful images slow you down? OMG! so many fascinating places. The museum of vehicles is one which I would love to explore at leisure.The railroad museum another must, given my fascination for trains and of course the Goggleworks..
That red bridge reminds of the scene in the movie “Bridges of Madison County” where Meryl Streep had her photo taken. Lovely photos you have here by the way. Thanks for sharing them. You’re welcome, Carla. Glad you enjoyed them! love the creativity here in telling people about the hidden gems of a lesser known place. Now I know where to go next time I head that direction. Keep it up. I really liked this post because US cities have that image of being too modern and too mechanical.This looks like a small, unhurried place. Feels almost like an oasis in the middle of a metropolis. There are so many interesting things to do, but the museum is just amazing. I haven’t been to any part of Pennsylvania, so this is refreshing. Given that I’m a fan of museums, these are definitely interesting to me! 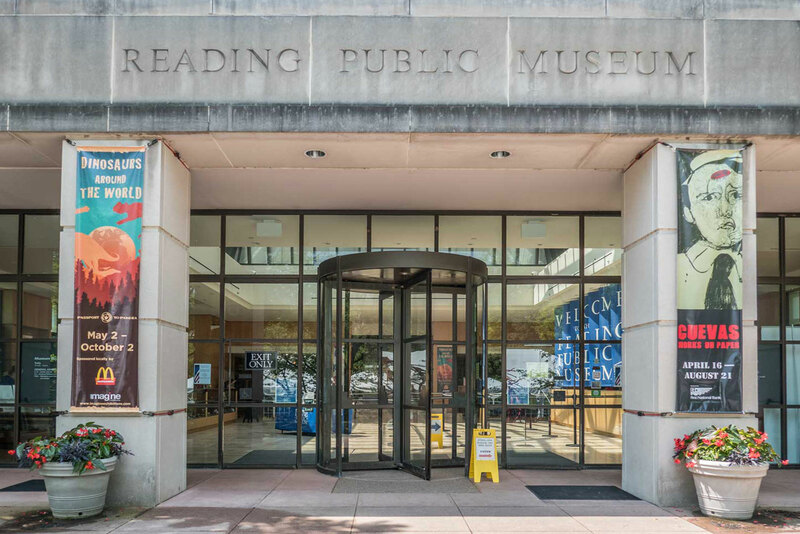 I’d personally love to explore the Reading Public Museum first, and see for myself what’s inside. The Roadside America is also wonderful (based on the photo), and I’d want to see it as well. I love the vintage vehicles!!! Interesting I’ve honestly never heard of this town. I’m not far away in Ohio! Would love to check out the Roadside America exhibit looks really interesting! So much information and so much to do in such a small place! As a European, we like to see historical things in the States as history is a different concept! I would love to visit the mid Atlantic air museum, it sounds so awesome! 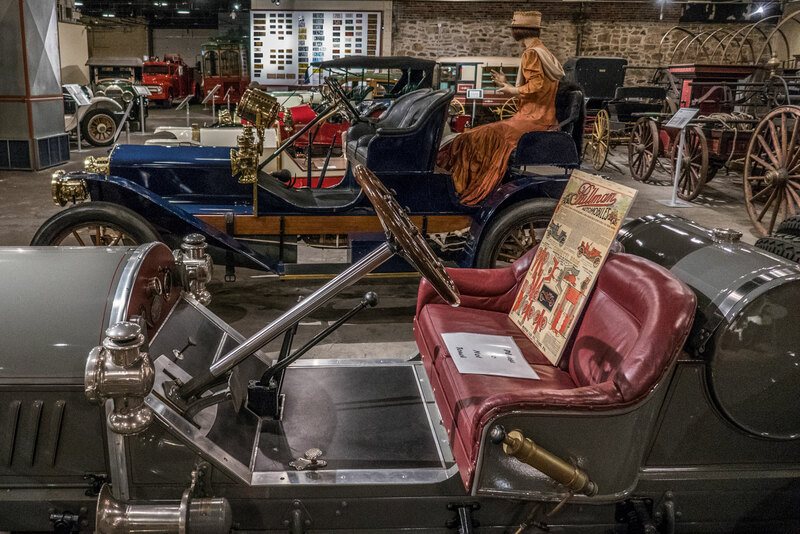 The Boyertown Museum of Historic Vehicles is also very interesting, I would love to stroll around and imagine how many, many years ago our roads were filled with vintage cars like these. I’ve never seen a crystal cave before, that must be a unique experience! Oh those macarons! Penn Avenue would definitely be my first (and probably only) stop! That’s a lot of reasons! I’d never heard of Berks County before but it certainly seems like a worthwhile place to visit. All of those historic sites are really impressive. Wow, I had no idea there is so much German heritage in Pennsylvania! It would be so interesting to visit some of these places for me as a German native to see how different the German culture has developed in Pennsylvania over the years. What an interesting town. Love the covered bridge and those macaroons look awesome! Thanks, but they are macarons. I have no interest in automobiles, but those vintage cars museums are so charming. Feel like visiting it (and re rest of the places) right now! I have no interest in cars either, but enjoyed that museum as well. 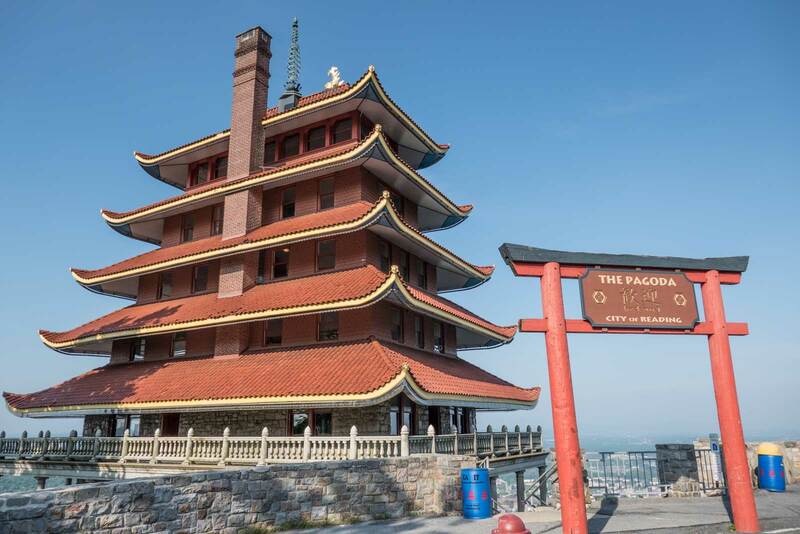 I gotta say I would have never thought of Berks County as a place to visit, but from the Reading Pagoda to the Wertz Bridge this list of places to see is amazing! wow–sounds like a ton to do! 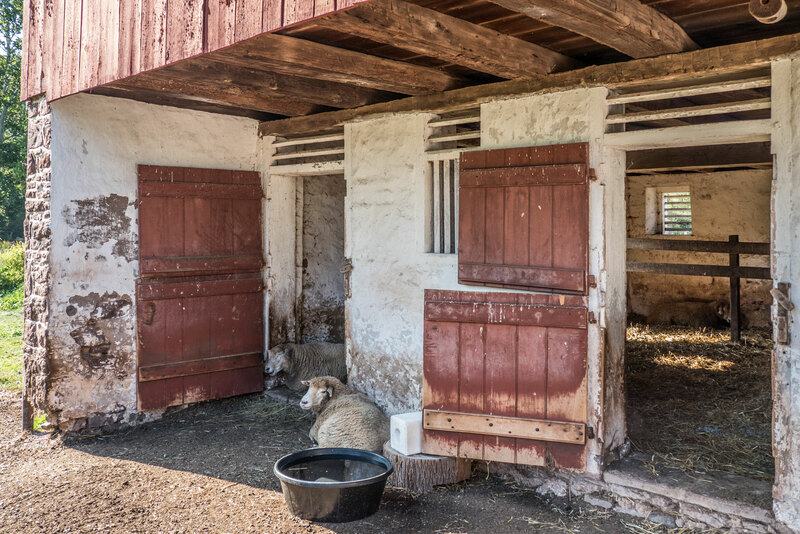 I love the old stone houses in PA, so the Conrad Weisner Homestead would definitely make my list! So cool! I love the Crystal Cave part as I love caves 🙂 Haven’t had much chance to explore Pennsylvania but I hope to be able to! This is local for me. Looks like lots of historic stuff. Great article with tons of info. I was just in NY last month, I should have driven there to check out this historic place.